Thank You to all the Teachers who attended our Summer PD sessions! The iTunes U course below has resources we shared with you this summer. Visit our iTunes U Course to get all the resources for our Summer Courses. Sign up in Eduphoria! 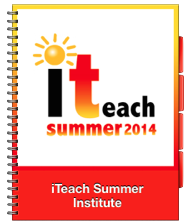 You will also recieve GT credit for attending iTeach Summer Institute sessions. iTeach Manor Infomercial from Mustang Media Network on Vimeo. Thank you Manor High School Mustang Media Network for this great video! Coming this summer...So much has changed on our team this past year and brought innovation to a whole new level. 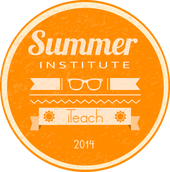 We are excited to bring summer PD like you've never seen before. Our 2 hour power sessions will leave you ready to innovate with technology for the next school year. You heard right, 2 hour sessions...you can attend up to three sessions in one day of PD. Keep in mind, all of our courses can earn you GT credit. You will feel your potential being unleashed. You will be exposed to tools that will help you and your students shine. Your classroom will be transformed into a destination others want to use to gauge their instruction. Did we mention you will have a blast? 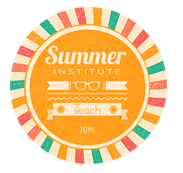 The iTEACH institute isn't your run of the mill summer school, folks.